It’s all about pronunciation, folks! 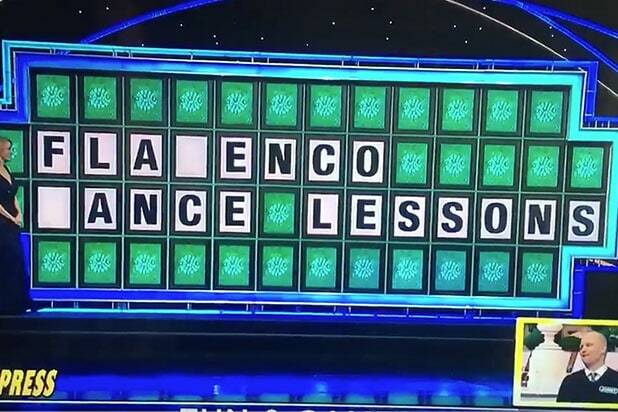 A contestant on “Wheel of Fortune” mispronounced the word “Flamenco” on Monday, and lost $7,100 to the next contestant. After completing the blank spaces for “Flamenco Dance Lessons,” the contestant named Jonny seemed pretty confident he would be taking home the cash prize. But rather than saying “flamenco,” he said what sounded like “flamingo,” and host Pat Sajak buzzed him for giving the wrong answer. Jonny looked on in disbelief as his opponent won the round. “So to explain, what we all heard was, and I don’t even know [how] to say it but you gave us a ‘g’ instead of a ‘c’,” Sajak said. According to the New York Post, this was the contestant’s second fail of the night. Earlier in the game, he couldn’t find the right letters for “dog and pony show me the money” and the same contestant ended up cashing in.